Royal Enfield Himalayan an adventure touring motorcycle targeting the audience for those who want to ride bikes for an Himalayan adventure. As we know thousands of bikers go for Himalayan tour every year. So this bike would be the complete masterpiece for enjoying bike ride on Himalayan track. The RE Himalayan Price is 1,55,500 (Ex showroom Delhi). Bike will be available in 2 colors – Granite Black and snow white. 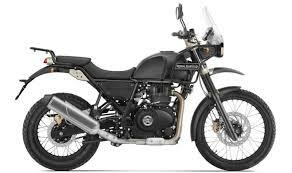 Royal Enfield has recall its newly launched Himalayan bike as it is said that there is some problem in rocker shaft and in clutch assembly. These part will be replaced freely at the service center.